The English national team has had plenty of players with just one cap to their name in recent years, from Bill Nicholson in 1951 to the likes of Carl Jenkinson and Francis Jeffers. Another one of those players is current Derby forward David Nugent, but his feat is more unique – he has one cap and one goal for the Three Lions. If you have ever seen the match in question (a World Cup qualifier against Andorra) where Nugent found the net, you would know why it has been an occasional talking point when the international breaks arrive ever since. With England 2-0 up, Jermain Defoe was played in by a chipped through ball and powered a weak shot at goal, one that squirmed through the hands of Andorran keeper Koldo Alvarez. The ball looked destined for the net, but Nugent was on hand to smash the ball in whilst it trickled over the goal line. 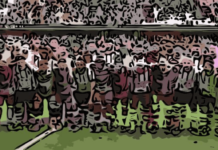 Some fans remember him only for that one moment – a goal that put the gloss on a winning scoreline against one of European football’s minnows – but in truth, Nugent has achieved a lot more than that as a player. Nugent was born in Huyton, Merseyside and was part of Liverpool’s academy as a youngster. At the age of 15, however, he was let go. Unlike other players released at a similar age, like Jamie Vardy, Nugent was not out of the game for long. He joined Bury, who at that time were in the Second Division. He made his debut at 16 as a substitute against Port Vale in March 2002 and initially failed to impress. Despite the club dropping down a tier the season he made his debut, Nugent scored just seven goals in his first two full seasons. The 2004-05 season, with Bury now in the rebranded League Two, saw an improved Nugent. 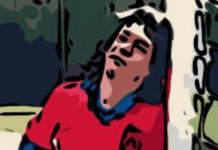 He fired in 11 goals in 26 league appearances to ignite interest from those higher up in the football pyramid. It was Preston North End manager Billy Davies who took a chance on Nugent, bringing him to Deepdale in January 2005 for a fee of around £100,000. He got off to an excellent start at North End, scoring eight goals in 18 appearances as Preston reached the playoffs. He played a crucial part in the playoff semi-final against Derby – a club he would join some 11 years later – scoring the opener in a 2-0 home win. A 0-0 draw at Pride Park saw Preston through to the final at the Millennium Stadium. The opponents were none other than Alan Pardew’s West Ham United. North End went into the game as favourites, having beaten the Hammers twice during the league campaign. The final was, as a Preston North End fan, one of the first football games I remember watching alongside that season’s FA Cup final and the playoff semi-final. There was a real sense of optimism around the city that the club could finally reach the promised land of the Premier League. In the end it didn’t happen, West Ham running out 1-0 winners thanks to a Bobby Zamora finish. North End and Nugent would come back stronger. Preston struggled at the start of the following season, winning just three of their opening 17 games. Nugent himself only scored four goals by Christmas. In the second half of the season, however, he formed strong partnerships with Patrick Agyemang and Brett Ormerod. After Christmas Preston lost just two of their last 22 games, enough to secure a 4th place finish in the league and a playoff spot for the second consecutive season. One of Nugent’s most memorable Preston moments came in the first leg against Leeds United at Elland Road. His spectacular strike put Preston 1-0 up early in the second half. The goal – which now has 91,000 views on YouTube – saw Nugent run onto a Danny Dichio flick on about 40 yards from goal. He then took on Leeds defenders Sean Gregan and Gary Kelly on the edge of the box, dribbling through both of them, before rolling the ball around Matthew Kilgallon. Holding off a further two defenders, he calmly slotted the ball past Leeds ‘keeper Neil Sullivan. Given Nugent was doubtful for the game due to an injury that caused him to miss the back end of the league season, the goal became even more extraordinary. Eddie Lewis equalised for the hosts, and the game ended 1-1, Billy Davies issuing the quote “job done” to the media. Whilst North End had produced an excellent performance to give them something to work with going into the second leg, the tie at Deepdale proved to be a disaster. Nugent’s strike partner Brett Ormerod was stretchered off with a broken leg following a tackle from Jonathan Douglas. Leeds had two men sent off over the 90 minutes but won 2-0, goals from Rob Hulse and Frazer Richardson giving them a 3-1 aggregate win. Nugent was rumoured to be leaving the club in the 2006 summer transfer window. He stayed, however, and flourished under the new management of Paul Simpson. Davies had left the club in the summer after accepting an offer from Derby County. North End swooped to bring in Simpson, who had led Carlisle United to two consecutive promotions. Nugent made a big impact in Preston’s second game of the season, scoring twice in a 3-1 win at Wolves (a game which is occasionally shown on Sky Sports’ Football Gold series) and Preston topped the league at the end of November. That form soon fell away and Preston missed out on the playoffs, although Nugent had a second half of the season to remember. He scored 11 goals in all competitions after Christmas, and sandwiched in between was that England call-up in March 2007. Nugent became the first Preston player to play for England since the great Sir Tom Finney some 61 years earlier. He came on with 10 minutes left of the qualifier against Andorra, replacing Andy Johnson. One of his first touches in an England shirt was a goalscoring opportunity. Stewart Downing played the ball across to him in the penalty area but his first-time shot went narrowly wide. Nugent did add his name to the scoresheet in injury time though, and England won 3-0. He made the England B squad for what would prove to be that side’s final game two months later, against Albania at Turf Moor. Nugent did not come on that night. Then coach Steve McClaren decided to give Michael Owen a full 90 minutes after he had missed the entire 2006 World Cup. He scored twice as England won 3-1. At club level, Nugent’s future seemed like it was going to be away from Preston. The club accepted a £6m bid from Portsmouth. His time at Pompey did not go as well as he would have liked. Nugent was even linked with a move away from the club in the same window he arrived. He made 15 appearances in his first season under Harry Redknapp – who has said since that Nugent was the owner’s choice – failing to score in the league then notching only three in his second season. A loan spell at Preston’s Lancashire rivals Burnley followed. Although Nugent scored six goals in 30 games, the Clarets were relegated from the top flight that season. He forced his way back into the Portsmouth side after they too suffered relegation in the 2009/10 season. Thirteen league goals earned him a permanent move to Leicester that summer. His time at Leicester was far more successful. Nugent played a key role in their 2013/14 Championship-winning season with 20 league goals, enough to win him that season’s golden boot. He featured regularly in the Leicester side that completed the great escape, scoring five goals in 29 games. Nugent missed their historic title-winning triumph a year later, having signed for Aitor Karanka’s Middlesbrough in the summer of 2015. He scored eight goals in 38 games on the way to earning another promotion that season. 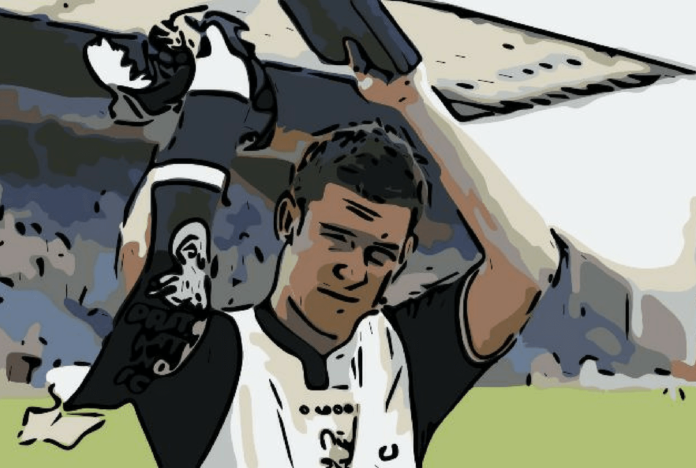 Now at Derby County, it is fair to say that Nugent’s career has been a storied one. He was a prolific striker at Championship level, and technically international level as well if you look at goals per game. Although his Premier League scoring rate is lower, he was still an effective presence. 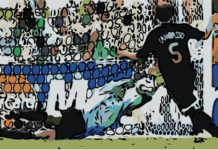 He may always be remembered for that England goal in 2007, but that moment is only one part of the career of a player who was one of the country’s most feared strikers on his day. At the age of 33, he still has plenty to offer Derby and any other future clubs. Writer for Tale of Two Halves. Preston North End fan & Season Ticket holder, follow me on Twitter.